Easier said than done, right? Not if you follow these four steps. Your first job has the potential to jumpstart your career. But with so many jobs to choose from, it’s tough to tell which opportunity will actually position you for long-term success. But it’s not impossible. The good news is that you’re the one who decides where you want to work. “You’re in the driver’s seat when it comes to managing your career path,” says Atlanta career coach Hallie Crawford. Follow these four steps to set your career on the right path. Gather as much information about a prospective employer as possible. For starters, you want to make sure the company is in good financial standing, has a good reputation within the industry and hasn't been involved in any embarrassing scandals. To find that out, you’ll need to dig deeper than simply looking at the company’s website. Read the organization’s most recent annual report to gain a sense of its strategies, operations and current challenges. See if the business has been in the media recently (company news can be a great talking point during the job interview). Also, follow the company on social media. “You can get a good feel for the culture by seeing how the business presents itself on Twitter,” says Courtney Templin, president of JB Training Solutions, a Chicago-based career development firm. Get started by going to your campus career center or alumni office to find college alumni at prospective employers (the center can give you their contact info). Ask them for 20 minutes of their time to learn more about what they do and what it’s like to work at the organization. Have your sights set on a specific company? Talk to people who work there. If you don’t have connections at your dream company through your alumni network, don’t be afraid to reach out on social media or email employees directly. “Get perspectives from employees in different departments and different levels of the company,” says Los Angeles-based millennial career coach Crystal Marsh. While a junior employee may not be in a position to help you get a job, the person will have a unique perspective on the company. Q: Is the company passionate about coaching junior employees? At your first job, mentorship is critical to success, says Templin. A formal mentorship program indicates that the organization nurtures its entry-level employees. If there’s no such program, find out whether the manager takes a mentorship approach. Q: How often do employees receive feedback? You want autonomy, but you also don’t want a boss who is too hands off, Jamie Klein, founder of Inspire Human Resources, a human resources consulting firm in New York, points out. Find out how frequently the boss provides feedback and whether there is a formal performance review process. Q: What skills does someone develop in this position? As an entry-level worker, “you need to be in learning mode,” says Templin. If the manager can’t pinpoint specific skills that you’ll gain in the role, the job may not be a good way to kick off your career. Q: Is there anything involved in this position that isn’t in the job description? Many job postings omit the less glamorous aspects of the position, such as administrative tasks. Find out exactly what your responsibilities will be and what a typical day looks like. Bear in mind though, as an entry-level employee, you’ll probably have to do some grunt work, but it shouldn’t be the focus of your job. “Everyone has to pay their dues,” says Crawford. Q: What is a typical career path for someone who starts in this role? This is a strategically indirect way of asking whether this is a position where you have the potential to get promoted. After all, you need room for career advancement if you want to climb the ladder. Q: What are a few words you’d use to describe the company culture? Cultural fit is crucial to your success at the organization. If you hate where you work, the job could zap any passion you have for the field—and disrupt your career. Q: Is there a budget for third-party education? You want to work at a company that invests in its employees’ development. Plus, adding skills to your resume by taking additional training or certification programs will make you more marketable to future employers. You’ll likely want to retire some day. Therefore, when evaluating prospective jobs, consider the position’s total compensation package. “Salary is just a small piece of whether a job will lead to a great career,” says Templin. Will the employer match your 401(k) contributions? Are employees eligible for bonuses? Does the company offer stock options? 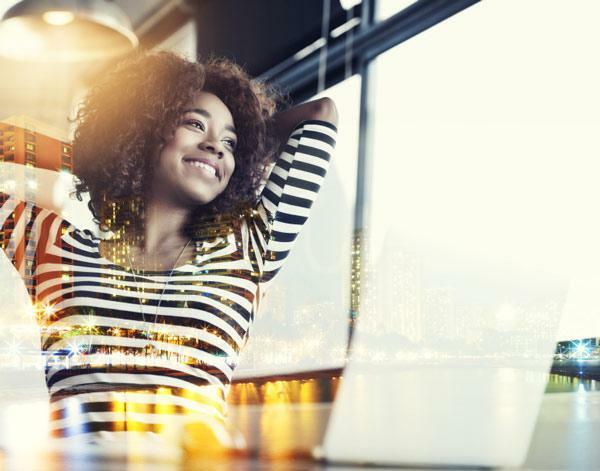 You want to set yourself up for a comfortable future, both at work and beyond. Is it better for your career if you work for name-brand companies?